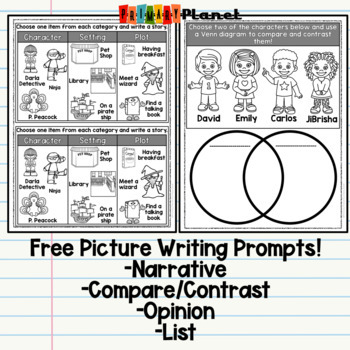 These engaging, writing prompts with pictures are a fun way to get even your reluctant writer's writing! No more will you hear "I don't know what to write about!" These writing prompts are PERFECT for your writing block: Writer's Workshop, Writing Center, or Work on Writing. They choose from a few options and write. 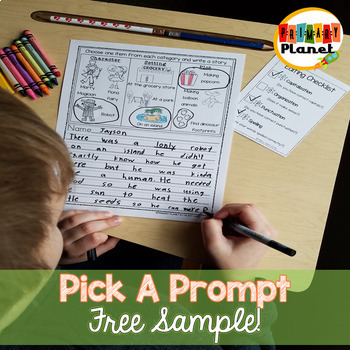 This is a freebie sampler of some of the types of prompts that you will find in my Pick a Prompt products! 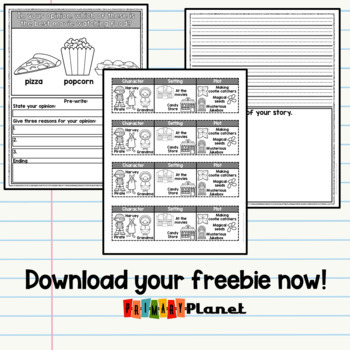 These are great for all kinds of writing activities! If you like this product and would like to be the first to know about new freebies and 50% off new products (for the first 24 hours) click the green star above to follow my store!